#60 - "Bad Girls" - M.I.A. King 810 are a band that I discovered last year when I found out they were supporting Slipknot, who I was about to see live. In my opinion, they're the best new(ish) metal band around, as discussed on this site before, I believe metal as a genre is a dying art form but King 810 are really keeping it alive. King 810, I've promoted a few times before on this site but also on my radio shows, are a band from Flint, Michigan, which is known as the "murder capital" of the US. King 810 sing songs about life there, the struggle, the death and violence, and despite all that, their pride for their home. "Fat Around the Heart" is a song about these struggles, about life in Flint. The first verse says it all - "I grew up in the church on Sunday/Back again bury friends on Monday/They don't just die they are killed from the gun play or the heroin or a prison stay/It's a shame that we gotta live this way/Your nightmares ain't got nothin' on this place/So stay down stay away stay safe/Cuz you aren't built that way". 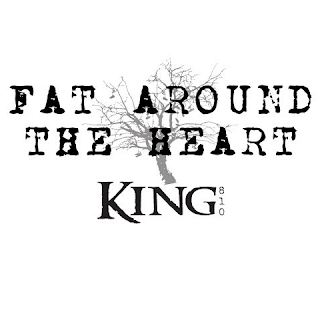 "Fat Around the Heart" is a great song, lyrically and also as a metal track. If you like Slipknot, have not heard King 810 and want to get into some new music, definitely give this band a listen. If you missed #51 go here.